In many ways I resemble a cabbage. I never thought of myself as a vegetable and I can think of more glamorous edibles than the cabbage but I can’t deny the resemblance. I don’t exactly look like a cabbage but who I am resembles how the cabbage grows. Layer on layer the cabbage houses itself with leaves that are a little different and more complex. I too am a complex sequence of layers each built on the other, each protecting the heart of who I am. Very few see my inner core. My writing is a way for me to exfoliate the layers and allow others to see into my world, my experiences, my hopes, my tragedies and small miracles that comprise my life. Many of us wander the world as a whole cabbage. Never knowing who to trust with our inner core, never exposing our true selves never letting anyone in on our dreams, mistakes, lessons or the drudgery of our everyday lives. 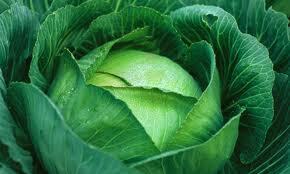 We all look the same as a cabbage; in control, complete, not a leaf out of place. The core of who we are, is the most essential part of ourselves, a necessary element worth sharing. I love the inlustration, viewing it mentally we can see we resemble Gabbage.